Back in the fall of 2015, I conducted an interview with Baris Tansoy, founder of the then-largely-unknown Tanmodel. This was just as they were starting to really share details of their RF-84F Thunderflash, which has gone on to earn plenty of praise for not only its design, engineering and fit, but accuracy as well (see my review HERE). Since then, we’ve become friends and I’ve been fortunate enough to be privy to some really cool developments going on behind the scenes. 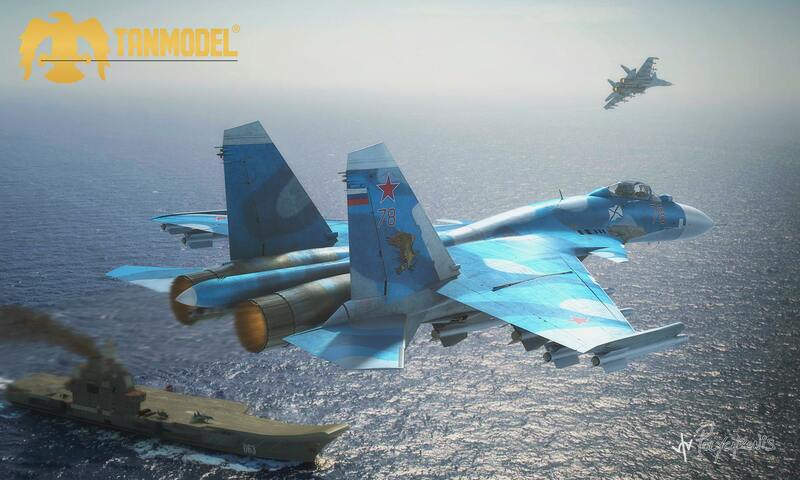 Now that Tanmodel has pulled back the curtain on its next kit – a 1/32 scale Su-33 Sea Flanker – I’m thrilled that I can finally share some of the coolness. 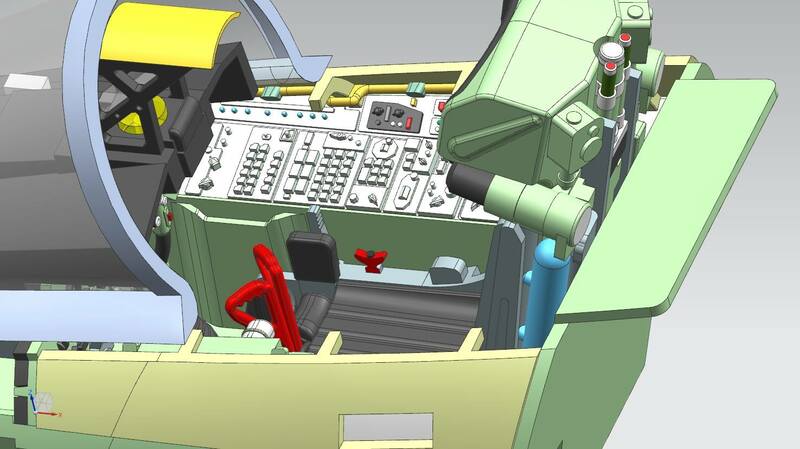 After our 2015 interview, Baris and I decided it could be a fun format to revisit – so here are some questions – and answers – about the Su-33 project. Enjoy! 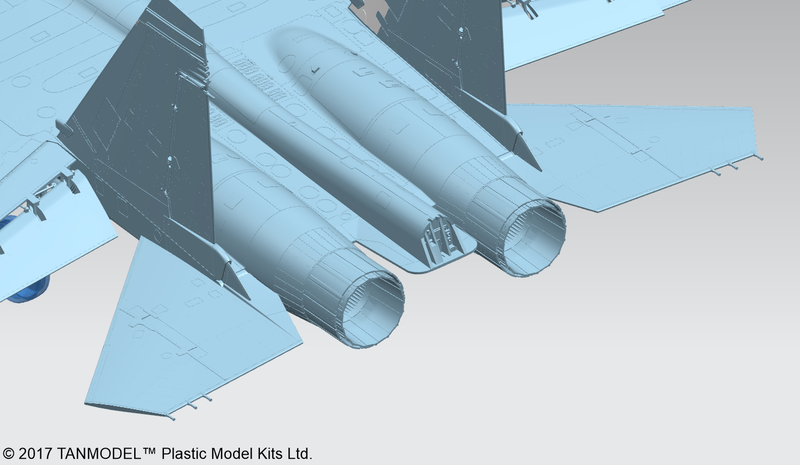 DM: Your publicly available roadmap has been available for some time – and the Buccaneer and 1/32 F-5 Freedom Fighter and F-4 Phantom have all drawn a lot of excitement. Where did the Su-33 come from? Why it? Why now? 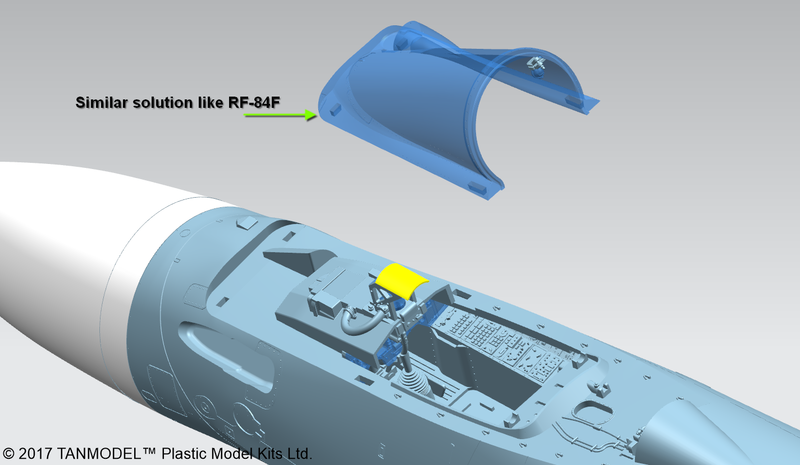 We received numerous new project suggestions after we launched our RF-84F kit. Everybody thought we had a challenging project list; however they counted on us because we used 3D laser scanning technology. We have an expert design team and modeller friends throughout the world with whom we have good relationships. Su-33 aircraft are still operational and allow limited access to information. We thought that this would be the most challenging project in order to demonstrate what Tanmodel brand is capable of. 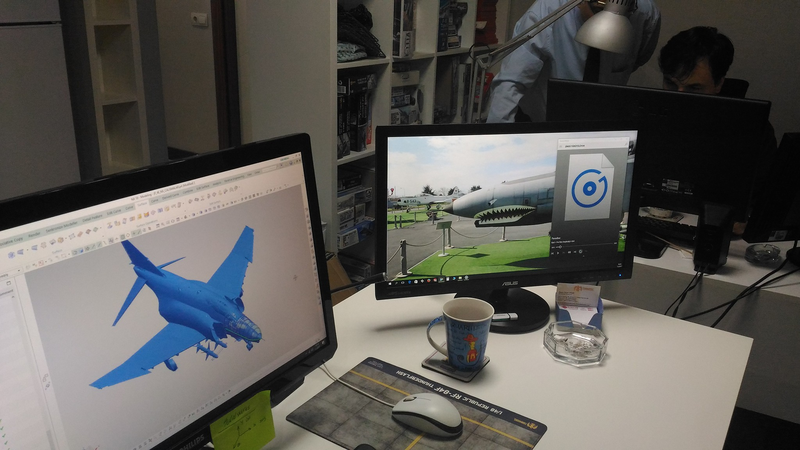 We think that we made a perfect design (especially in terms of modelling engineering). 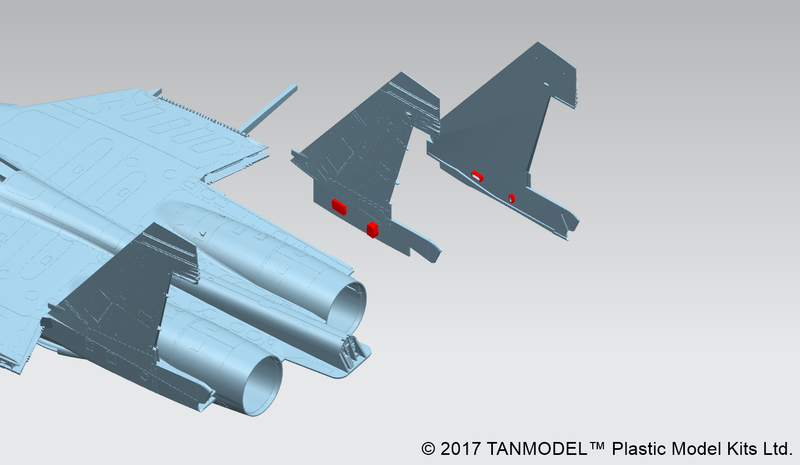 DM: The RF-84F Thunderflash and the other kits you have in development were all 3D laser-scanned. Is the same true of the Su-33? We of course did not have the chance to scan the Su-33 aircraft with 3D laser (because access to the aircraft is limited – ed). Then we reviewed more than 4000 pictures and numerous technical drawings. We checked every part maybe 100 times. We are very excited that we will have the remarks of our modeller by sharing our design with them prior to production. DM: Were any lessons from the development of the RF-84F applied to the Su-33? 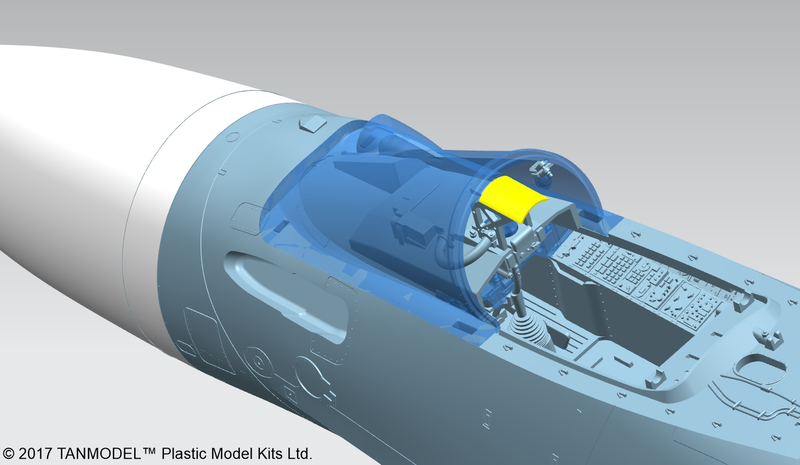 We applied some solutions like the fuselage-wing joint channel, special windshield design, part refractions away from panel lines in our Su-33 design like we did in our RF-84F kit. Every windscreen should be designed this way. It’s a little thing that really does improve the build experience. We think that these solutions will be liked a lot. We also applied some different designs which have never seen before. 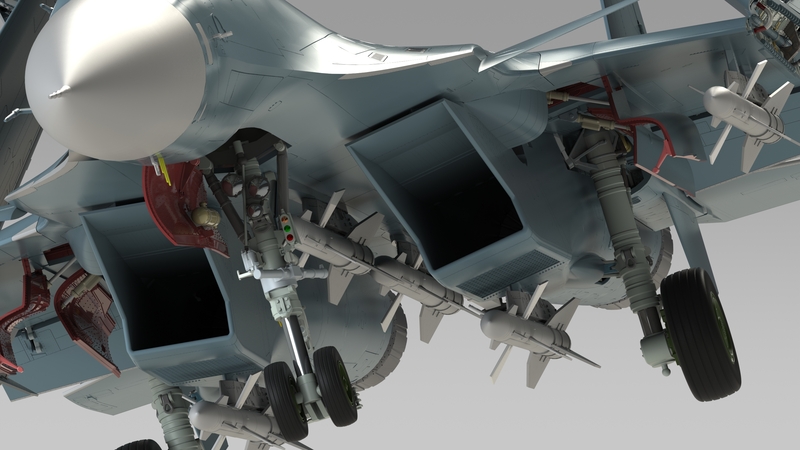 In addition, our Su-33 kit will have the biggest one piece intakes in the industry. 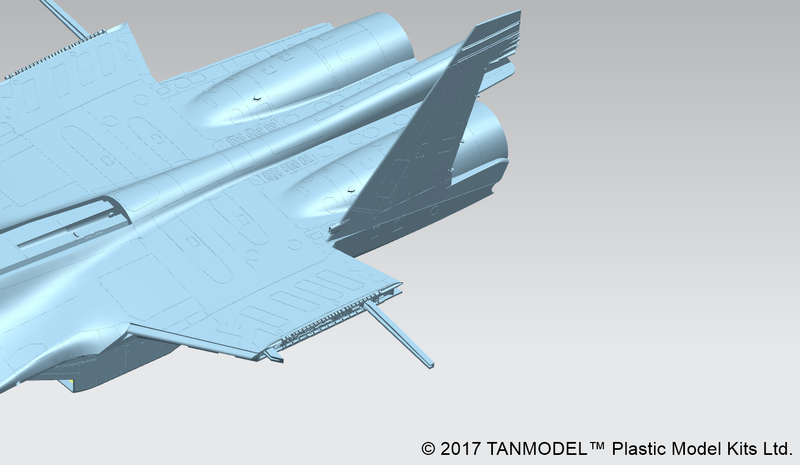 DM: Buildability is always a hot topic – but it seems to be moreso recently, particularly with the release of Tamiya’s F-14. Can you discuss any particular areas of the kit where buildability led to some interesting engineering solutions? The only thing you need to consider is the high applicability of the kit when you create such a gigantic kit design. Modellers never want any part to get damaged when working on the kit in this scale. (Too true – nothing more frustrating than being forced to install parts early that will doubtless get knocked around during construction and painting – like gear struts). We are modellers as well and we considered the size of the model in the design phase. For example, horizontal stabilizers are the last parts to mount on the kit. 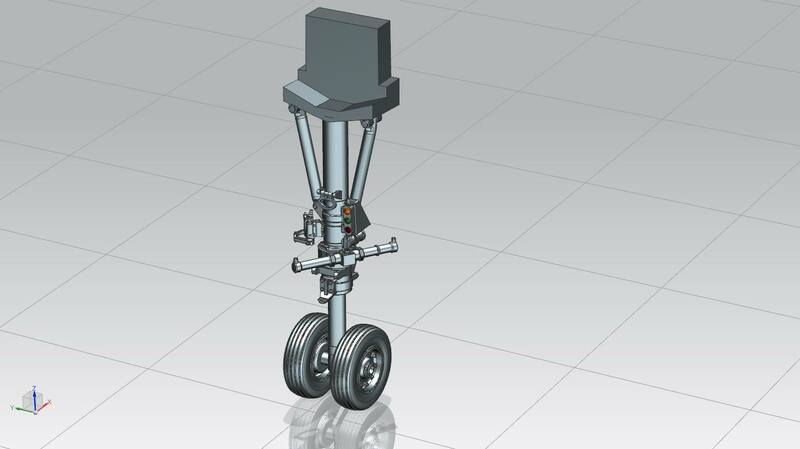 The spade support on the nose gear strut should provide a convenient and sturdy installation. 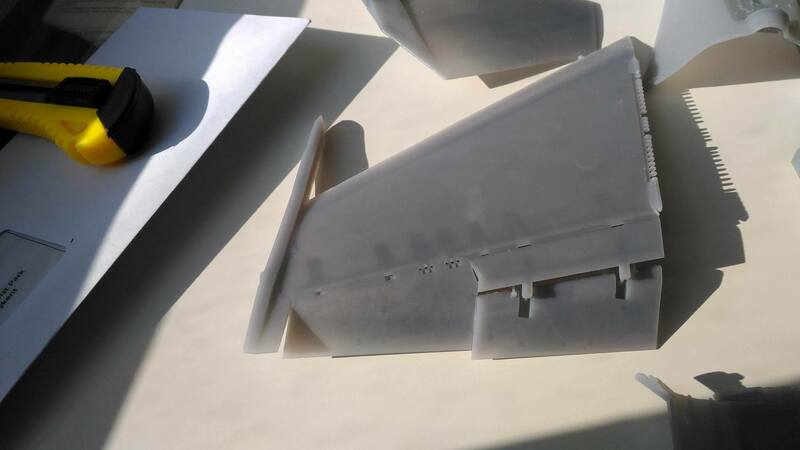 We also designed the support parts in order to avoid bending of the upper and lower fuselage parts, and provided Tanmodel-specific specially designed parts for the details of raised rivet parts and vertical stabilizers at the tail area. 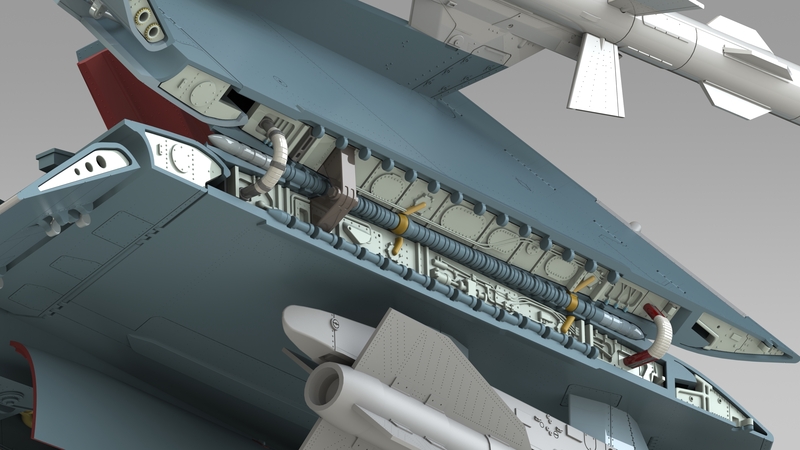 We kept part refractions (where parts join – ed) away from natural panel lines for nose part, and added design-specific special support parts in order to avoid elevation differences in this part. Essentially, by keeping the part joins away from natural panel lines, seams can be cleaned up without sacrificing and having to restore the kit’s surface detail. 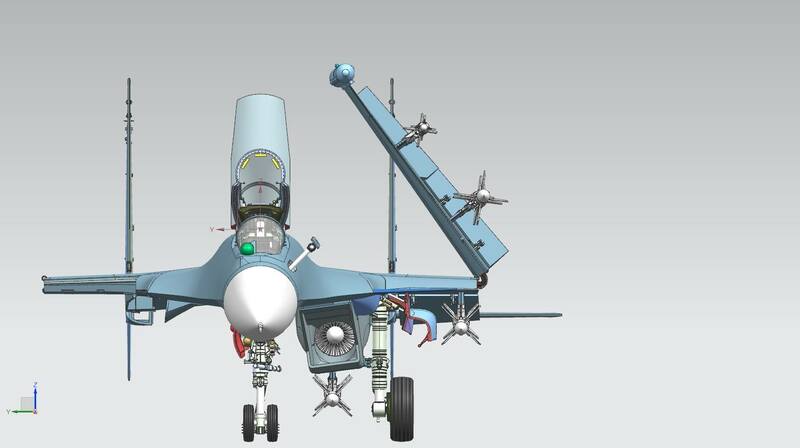 DM: The kit renders show the Su-33 with the wings folded. How are you approaching the hinges to maximize detail while still ensuring strength and (hopefully) ease of assembly? 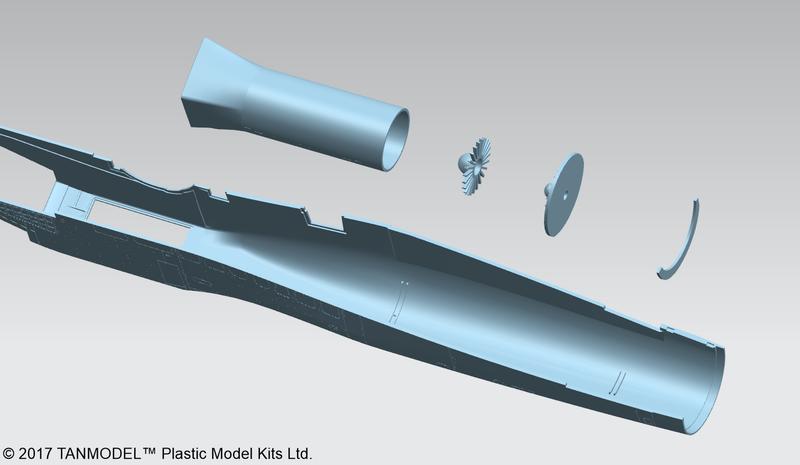 We made a great design for the opened-closed wing option to modellers. We already designed the design prior to starting the project and solved this issue during pre-design phase. 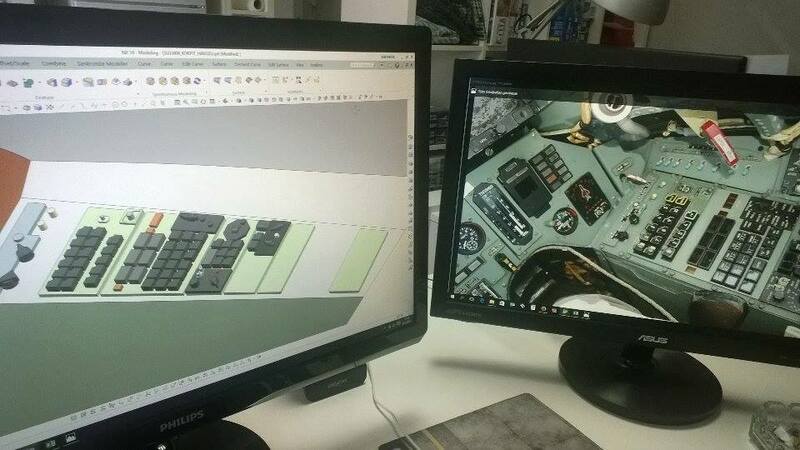 You will understand what we mean when you start building the model. DM: Any interesting provisions for wings extended? 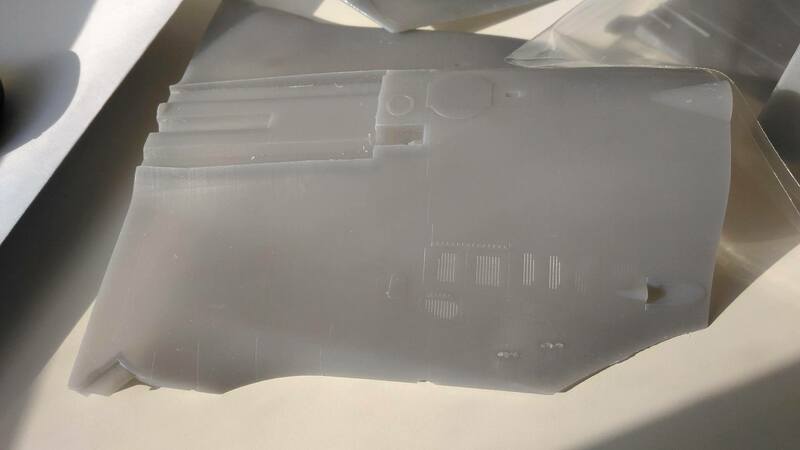 Hobby Boss provided some interesting spar pieces in their 1/48 A-6 Intruder that proved very helpful in this regard, but for some reason Trumpeter left them off the 1/32 Intruder. Fuselage parts are 2 separate parts – upper and lower. You need to make a choice during construction: folded or flat (open) wings. 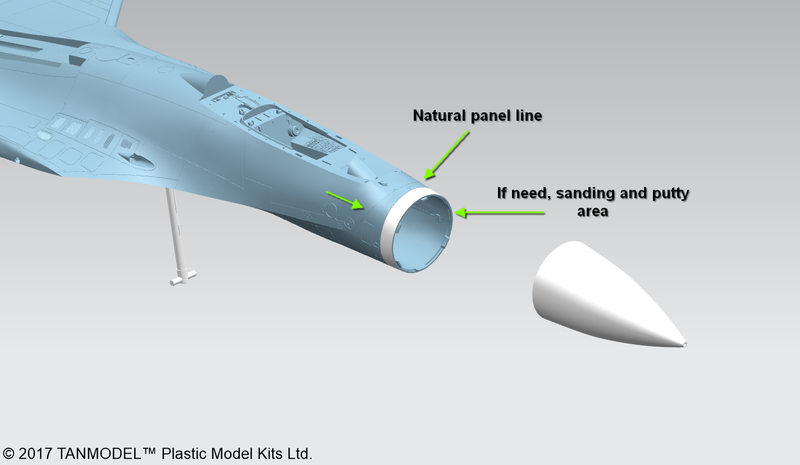 Thanks to our 3D design, modellers will have the best outcome whichever way they choose to go. 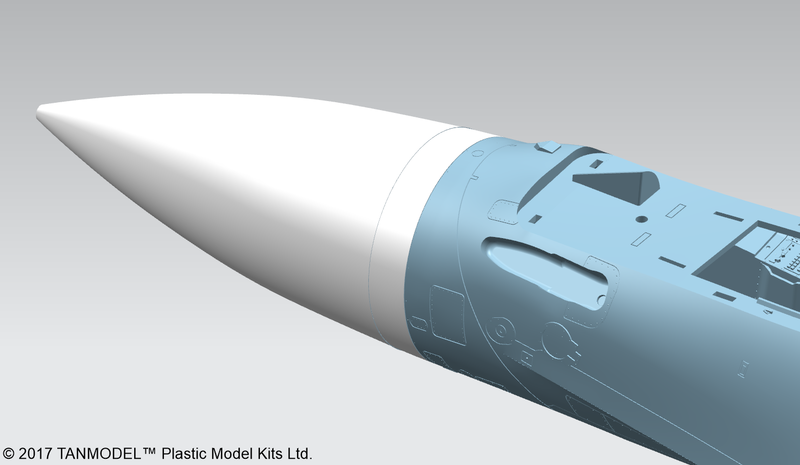 DM: Great Wall Hobby and AMK have made splashes with excellent one-piece injection molded missiles. 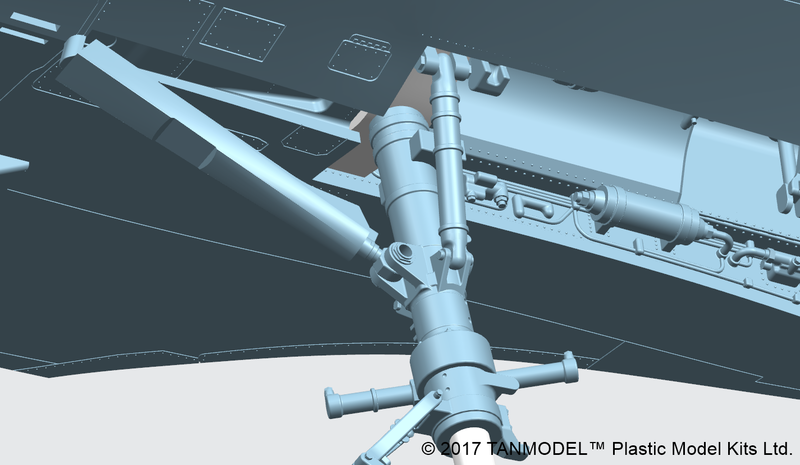 Granted – that’s in 1/48 scale – but will we be seeing any interesting approaches to the armaments? This is a 32 scale kit. If we want to give one piece missile, it creates sink marks as the part will be too thick. 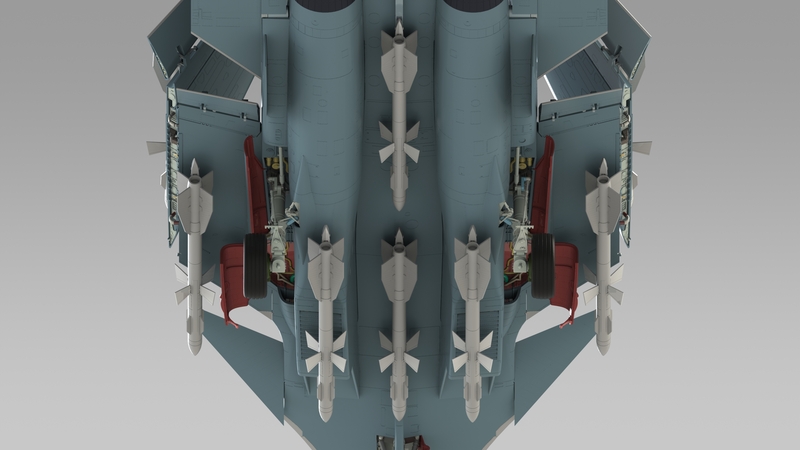 We think that molding one-piece missiles in this scale may technically not be possible. DM: I hear this kit will have one piece intake trunks. Can you elaborate a bit? We reviewed similar kits before we started this project and decided that the intakes would be one piece. 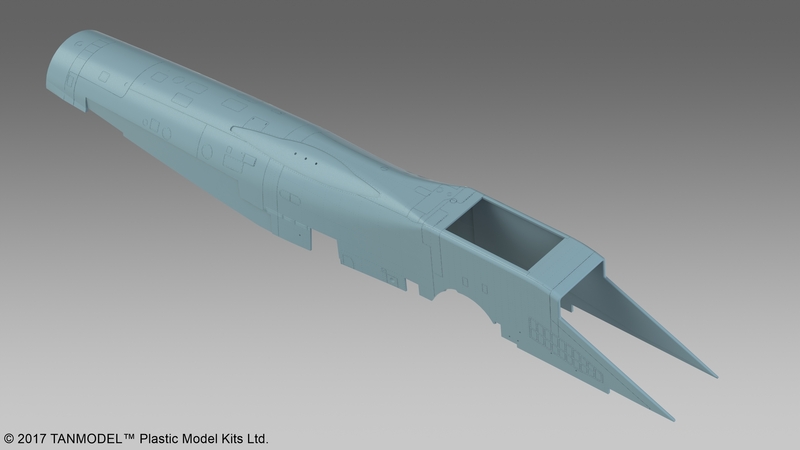 We knew that it would be the biggest [intake] part in the industry in terms of scale, but we are modellers too and we desired to provide you the same kind of things we wanted for ourselves. We hope to be pleased that we made this decision after the production! DM: A lot of 1/32 kits are notorious for shipping with vinyl tires. 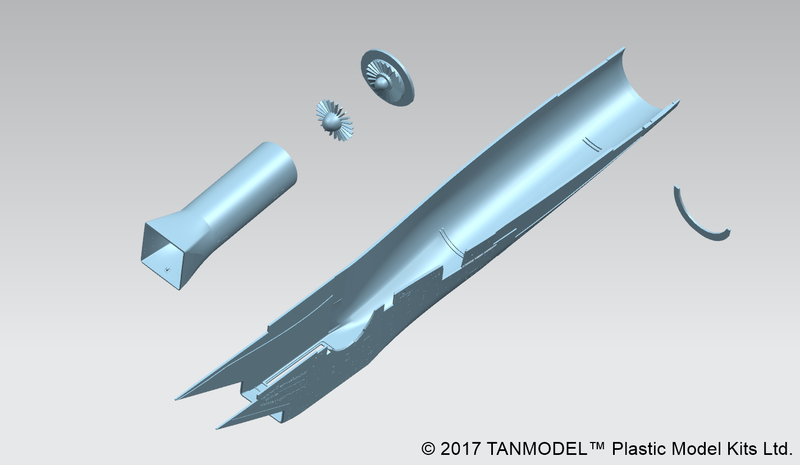 Will Tanmodel be taking a more modeler-friendly approach? We all agreed on the materials to be used during the production at the design phase of the design before the project. We hate vinyl tires. ☺ Usage of metal struts (for the landing gear – ed) was like an obligation, but the tires needed to be plastic. DM: What would you say was the single biggest challenge in pulling this kit together? DM: I noticed that you 3D printed parts of the kit for test-fitting – can you describe the process a bit? We enlarged some joint pins. We are very pleased that we projected our thoughts to our design. Due to the size limitations of 3D printing, parts had to be sliced up for test-fitting. 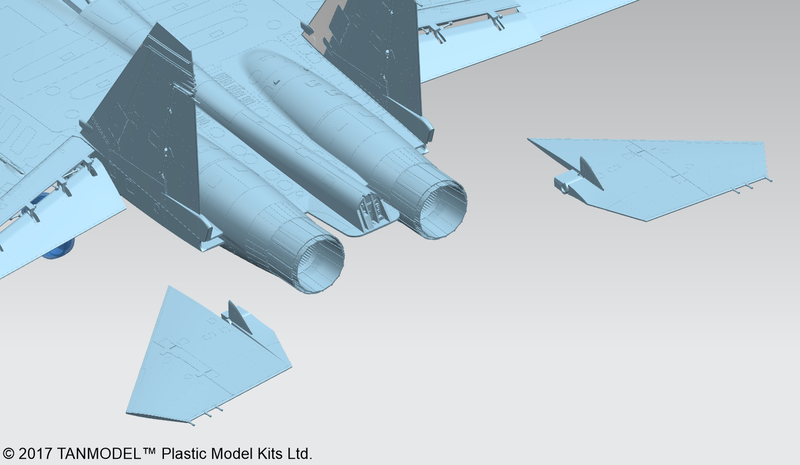 We are already working on a multi-option F-4E project. 2017 will be hot. DM: When do you expect the Su-33 to be available? Presumably in about 4-5 months. Keeping the join line away from the panel line is a smart move manufacturers had to realise so long time ago!! Go Tanmodel!! I’m looking forward to your review of the actual kit! It sure looks good so far! Su-33 is not a tier 1 subject for me but this sure does make me want one. Really looking forward too their treatment of the F-111 and T-38 though. I was about to order a HB SU but i think ill wait. Btw its good to see a normal guy who has the same ideas and thoughts most of us do but has the balls to put it out there. Keep it up! 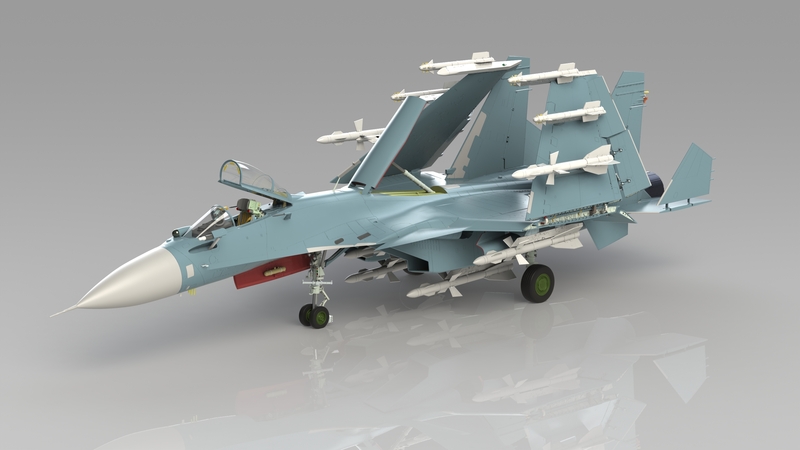 When will the SU-33 in 1/32 scale be available? I believe it is coming this year – but exact dates always tend to shift around with new kits (unless we’re talking Tamiya, where they don’t show anything until the kit is done and basically ready to go).